Soda: Yes, it is agreed by dietitians and doctors that sod should be nixed from your food chart completely. This is because; one can of your soda is just like a can of water which is mixed with ten packets of sugar in it. This is far more than the recommended amount of daily sugar. Hence, water should be choice which is always good. If you want to add spice into it, you can try out some fresh juices instead. White Rice: Yes, this is the most common ingredient in most recipes and is assumed to be healthier. But, it is to be noted that the nutritional value of your rice will completely depend upon the type of rice chosen by you. White rice could encourage your body for storing excess amount of fat which is not actually required. This would make it tougher for you to lose weight. Moreover, your white rice contains only little nutritional value. You can always opt for brown rice instead of your white rice. Corn Syrup: The high fructose is one of the common sweeteners that are being used in processed and baked foods. There is an ongoing debate on whether the corn syrup is good or bad for your health and a consensus is not yet reached by the scientific community. However, there are some compelling evidences that the high fructose corn syrup could quickly cause you to gain extra pounds. 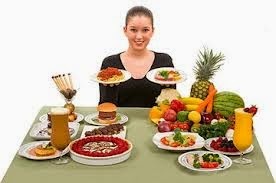 In addition, this can even stimulate the increased craving for sugary foods. The high fructose corn syrup might increase the triglyceride levels in your body which can be linked to higher incidences of heart disease.